In May last year the brass plaques commemorating servicemen and women at the Five Dock War Memorial were stolen. The City of Canada Bay is working closely with the Five Dock RSL to ensure that new plaques are installed before the ANZAC Service in April. Ahead of the final plaques being produced the community is encouraged to notify Local Studies (using the comments link below) of any additions or changes. The plaques honor those who gave their lives in the First and Second World Wars and in Korea. This project complements Local Studies’ efforts to create a list of all those from the Canada Bay area who served during the First World War. 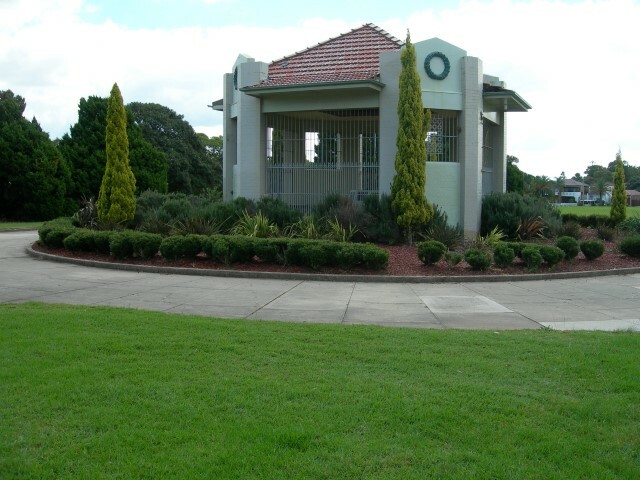 The Five Dock RSL has generously provided funds to ensure that the Five Dock War Memorial and surrounds are fully restored as a tribute to local men and women who have served their country. In the nineteenth and early twentieth centuries, illuminated addresses were a popular way of marking special occasions. In the tradition of medieval illuminated manuscripts, illuminated addresses combined calligraphy, miniature pictures and decoration to pay tribute to a person’s special achievements. The illuminated address, above, is currently on display at Concord Library. It is one of the special treasures of the Holy Trinity Anglican Church at Concord West which recently celebrated its centenary. 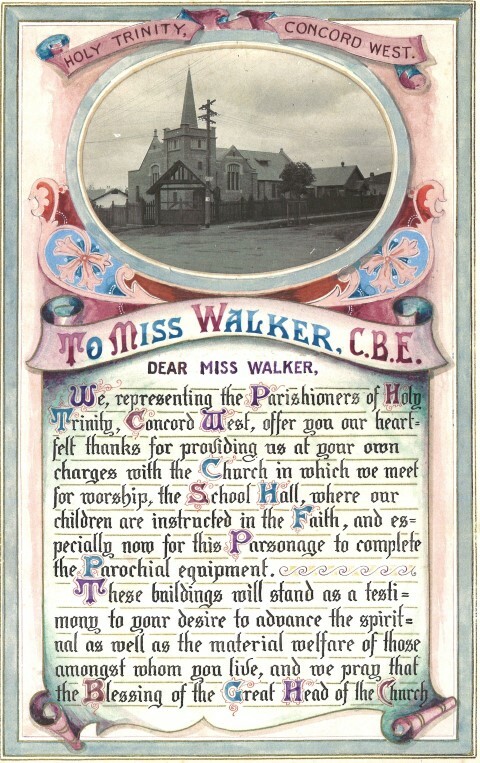 Holy Trinity presented the illuminated address to Eadith Walker who generously donated funds for the establishment of the church. Several other beautiful illuminated addresses associated with Canada Bay have survived and are held by the City of Canada Bay Museum and St Luke’s Anglican Church at Concord. These can be viewed through Canada Bay Connections, simply type “illuminated” in the search box. The display commemorating 100 years of Holy Trinity Anglican Church continues at Concord Library until 14 March 2014. The Royal Visit of 1954 attracted enormous crowds eager to catch a glimpse of the recently crowned Queen Elizabeth II and Prince Philip. 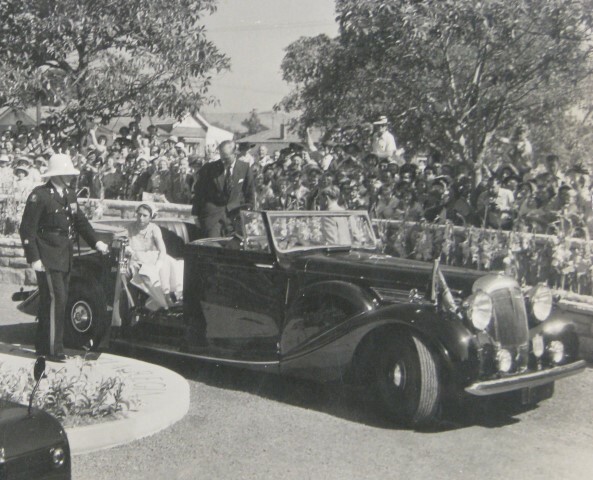 When the royal couple visited Concord on 5 Februaury 1954 an estimated one million people lined Parramatta Road between Broadway and Concord. At Concord Park, in honour of the occasion, Concord Council had constructed a walled garden which was specially decorated on the day with 600 red and yellow gladioli. On arrival at the park, Queen Elizabeth and Prince Philip changed from the stately Daimler landaulette to a Land Rover which then moved between cheering crowds of school children. Over 30, 000 students had been bussed in to the park from 37 western suburbs schools. Queen Elizabeth and Prince Phillip were then whisked away to Concord Repatriation General Hospital. Concord Park was renamed Queen Elizabeth Park in 1957 in honour of the special occasion in 1954 when Concord had royal visitors.